INTERESTED in 2015 5th Menehunes Invitational? Fill out the contact form to reserve your spot. Choose a division Mens AA Asian "Elite" Mens A+ Asian "Competitive" Mens A Open "Friendship" Womens Monica Quan "Upper" Womens Monica Quan "Lower"
Click on the links above to see the brackets, schedules, team summaries, rosters, and tournament summaries. This marks the 4th Annual Menehune Invitational Basketball Tournament and has been the biggest one yet. The tournament consists of 4 Men's Divisions and 2 Women's Divisions. The Men's divisions consist of "AA" Asian Elite which consists of the best Asian American Basketball players around that are current college, ex-college, current professional, ex-professional, and serious basketball players around the area. This division is considered the "best of the best" nationally. The "A+" Asian divisions consist of Competitive Asian American players with some college, high school, and older AA players. These players are all considered competitive basketball players around the area. "A" Open Friendship is for the "weekend warriors" but in this years pool of teams they have some pretty competitive ones. The Friendship division is our open ethnicity division which is kept that way for teams that have co-workers, workout gym ballers, and to outreach the community. Lookout for an Open "Gold" and "Silver" division next year as the talent is on the rise. The Women's divisions are named in respect to "Monica Quan", who asked the Menehune Basketball committee to start a women's division for all the female ballers out there. However after the tragic death of Monica Quan and Keith Lawrence the tournament committee has decided to pay remembrance and respect by dedicating the women divisions to "Mo" Monica "AIR JORDAN" Quan. So the Women's divisions are named after the legend Monica Quan, aka "Air Mo", who will never be forgotten in the basketball community. They will have 2 divisions Monica Quan "Gold" Open Ethnicity and Monica Quan "Silver" Open Ethnicity divisions. This is the inaugural women divisions year for the Menehune Invitational and it looks like it is going to be a competitive one! The Menehune Basketball Committee would like to make this years tournament and enjoyable one, please bring friends and family to enjoy a competitive weekend of basketball. Please make new friends, network, and show good sportsmanship towards one another. Compete on the court but off the court be there for one another. Once again I would like to thank all the team Captains, Coaches, Participants, Sponsors, Families, and Friends on supporting the Menehunes Invitational Tournament. This tournament couldn't be a successful one without each and everyone of you. Menehunes Invitational Basketball Tournament partners with PTBA. Game schedule/stats/summaries will all be posted on www.myPTBA.com website. Fill out tournament contact form. An email will be sent to you with tournament application. An email will be sent out to captains with the tournament application. 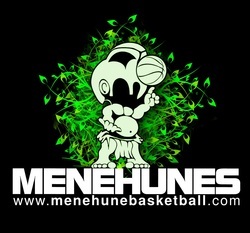 Prime Time Basketball Association (www.MyPTBA.com) will be running the tournament with Menehune Basketball.